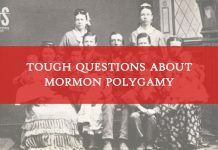 These headlines and the accompanying articles were written in response to the “polygamy” essays published by the Church of Jesus Christ of Latter-day Saints, Plural Marriage in Kirtland and Nauvoo and Plural Marriage and Families in Early Utah. Most who engaged with and shared the stories in the Huffington Post, the Telegraph and many other outlets gave no thought to significant linguistic nuances that make the headline factually problematic. For instance, the word, “admits,” is charged with accusation that there had been a previous denial of some kind. On the contrary. 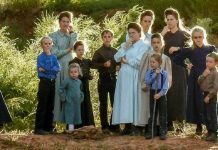 Off the top of my head I can think of three definitive declarations that attest to the practice of polygamy early in church history: Section 132 of the Doctrine and Covenants, a 1905 Improvement Era article by Prophet Joseph F. Smith, and a 1992 Ensign article. In fact, being a student of Joseph Smith and history, I learned of these 14-year-old “brides” (another baggage-laden word) and 30-40 wives in my early twenties as a student at Brigham Young University, as I combed through journals and other documents in a quest to get to know and understand Joseph Smith better. The events and history of Joseph Smith’s marriage to teenage and other brides have been well known and documented within available resources since there were accounts written of the event way back in history. All anyone had to do was look… and some did. The information has been readily available for anyone to read. For example, Richard Bushman, in his book, Joseph Smith: Rough Stone Rolling, has attempted to write more objective historical accounts of Joseph Smith and has included more difficult events in his history. Thanks to Bushman, the names of Joseph’s wives have rested on thousands of Mormon bookshelves since its publication in 2005. Internet reach and information ease fluidity resulting in the availability and sharability of history have put the Church in the new and sometimes uncomfortable position of having to clarify interpretations of events, statements and doctrines when it would rather testify. Who, Really, Was Joseph Smith? Two friends have called me with concerns about the Church’s recently published polygamy essays. Many more have expressed concern on social media. Most of the concerns center around the idea that there is circumstantial evidence that Joseph Smith was at least lecherous and may be a fraud, and therefore, the Church that they have loved and defended may be indefensible. 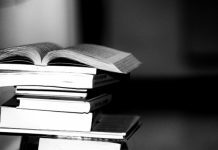 Browsing, especially secondary sources, with little regard for context, could easily yield the conclusion that Joseph Smith had some fatal flaws that would call into question his commission as a prophet of God. “Kelly, a few years ago when I was the bishop, I was counseling with a couple that was on the verge of divorce. Unfortunately, I was unable to change their course and before long, they ended their marriage. You need to get to know the prophet Joseph Smith as well as you know me. Once you do, I think your concerns will evaporate and you will probably end up with certainty in the opposite direction. During one particular meeting with the husband I gently rebuked him for shirking his priesthood duties and called on him to do better. He did not take it well. Within a week he had spread false rumors to three neighbor couples that I had been having an affair and that he had proof. In the wake of the polygamy essays and the derivative secular commentary, I witnessed tweet after tweet from my tweetdeck where I track all twitter activity LDS and Mormon, I was watching the evil part of the prophecy’s fulfillment. About every five seconds a tweet would hit the feed that would disparage Joseph Smith, sometimes with several vulgarities attached. Well known anti-mormons were giddy, though a little envious that they were no longer the loudest voices disparaging Joseph Smith. Interestingly, as if anticipating member response, many career dissenter posts centered around criticizing spiritual evidence for the prophet as frenzied emotion and nothing more. It may be astonishing to some, and they may think me delusional, dishonest or brainwashed, but I can look at all of the evidence, including Joseph Smith’s marriage to a “14-year-old bride,” and still say without hesitation that his claims are truthful. That he saw the heavenly beings he said he saw and that the Book of Mormon is divine scripture and his role in bringing it forth is reported accurately. 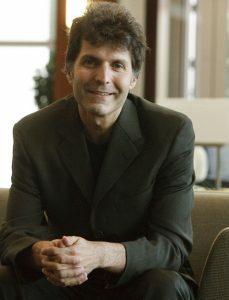 Of the many intervening considerations that have allowed me to get to that conclusion in the face of disparaging and difficult circumstantial evidence, four have been the most useful: deep historical study of primary sources; the return of prodigals; the Book of Mormon; and, spiritual work. Most of the interactions I have with people hostile to Joseph Smith and the Church end up with them citing secondary sources and me quoting from more primary sources. There really is no such thing as an objectively written historical account of anything. Every historian approaches history writing with philosophical, political, psychological and experiential baggage. Some of the baggage is easily detectable and can be discounted. It is disingenuous or naïve for a student of history to rely on sources without good baggage investigation. This goes for sources that both positively and negatively speak of Joseph Smith. 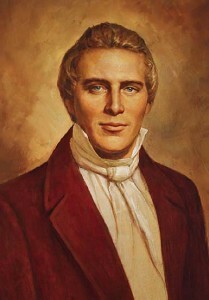 Having read thousands of pages of original and secondary historical accounts of Joseph Smith, independent of any spiritual conviction, I conclude that 1) he was truthful in his account of his own history; 2) those closest to him predominantly verified his divinely appointed mission, even when they had personal falling-outs with him; 3) though admittedly imperfect with common human foibles (some of which made it to scripture), he was good; 4) he loved God more than his own life and position. However, non-spiritual conclusions are insufficient. Why Would They Come Back? Many people who knew Joseph Smith well and disassociated themselves with him came back later. Two of note are Joseph Smith’s contemporary, William W. Phelps, and a modern historian, Don Bradley. Phelps’ case is noteworthy because he knew Joseph Smith intimately. He knew about polygamy. In fact, he testified that he had been in attendance when Joseph Smith received a key revelation on polygamy. He knew about every one of Joseph Smith’s problems, weaknesses and strengths. He had been Joseph Smith’s friend, clerk and ghost writer during the 1830’s and early 1840’s. 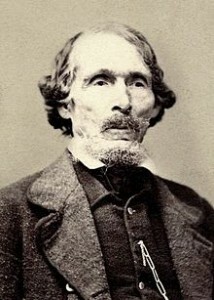 In 1838, Phelps was one of many who testified against Joseph Smith and others that led to their brutal Missouri imprisonment in 1839. His testimony against the prophet led to his excommunication in March 1839. Really? The least place and association with the man who had 40 wives and teenage brides was better than all Babylon? Phelps was an intelligent, educated, wealthy man who would opt for death with the Saints and Joseph Smith over any other life. What did Phelps know. What kept him coming back? Don Bradley is a modern historian educated at both Brigham Young University and Utah State University. He began his serious study of church history as a 17-year-old at Brigham Young University. Like Phelps, he got to know Joseph Smith well. His faith crisis began as items of church history seemed unsavory. Specifically, they are not what he had heard before and not what fit the narrative he had come to expect. The other problem was that he rejected all other ways of knowing than scientific, historical inquiry. Don asked to have his name removed from the records of the Church. As with Phelps, there was no reason to ever return. He was not disinterested or agnostic. He was sure that the Church, and specifically Joseph Smith, were frauds. His return began in small, incremental steps. The first step was to acknowledge that the Church did good in the world. The second was to acknowledge that there are other ways of knowing, that knowledge gained through spiritual means was legitimate knowledge. The third step was that he kept digging into church history through difficult things and finally arrived at what he calls “gold,” really good things. One of the keys Don speaks of is that he ceased forcing God into a construct that he had created. Questioning also changed. The questions Don asked at the beginning as part of his research were cynical questions like, “Why did Joseph Smith do this thing? What was in it for him?” Those questions often yielded poor answers and gave an impoverished view of Joseph Smith. The cynical narrative was inadequate for historical inquiry. He points out that with any relationship, if you are continuously asking “what’s in it for them?”, you will end up with a poor relationship. Like Phelps, Don Bradley reconciled with Joseph Smith. Like Phelps, he knows Joseph Smith well and opts to stay at his side after testifying against him for a period of time. The experiences of these men and many like them have caused me to wonder and have stood in the way of my departure as I have had occasional and sometimes serious doubts and concerns when I have gone so far as to say, “do I need to seek truth elsewhere?”. Their experiences have effectively challenged me to shelve my doubts for a time until further light comes, which it always has. Dissenters have spent careers attempting to discredit the Book of Mormon. Terryl Givens, in his book, By The Hand of Mormon, outlines several of these along with thoughtful answers. I will be the first to say that there is not adequate resolution to all challenges, and I would add that none of the challenges is a smoking gun either. I would further say that there is strong, positive evidence that has no adequate answer from critics. Finally, the truth of the Book of Mormon will not be revealed through historical inquiry. Each believer in the truth of the book has come to that conclusion a different way. Missionaries are fond of applying a standard test. The test holds up pretty well generally, but it is not how it happened for me and thousands of others. The test is that you read the book then apply Moroni 10:3-5, which says that if you pray about the contents of the book, especially about the accounts of the Lord Jesus Christ whom the book is about, and pray with sincerity and an open mind and heart, God will confirm that the contents of the book are true through the power of the Holy Ghost. For me, the last part happened, but it did not take a prayer. In fact, I did not get through First Nephi without a strong, powerful spiritual witness that the contents of the book originated with God and were delivered through prophets. It would have been ludicrous for me to ask the question of God when he had already given the answer multiple times through my reading of it. “I decided that I would commit every evening from 11 to 12 o’clock to reading the Book of Mormon to find out if it was true. I wondered if I dared spend that much time, because I was in a very demanding academic program, studying applied econometrics, and I was going to try to finish the program in two years, whereas most of the people in the program finished it in three, and I just didn’t know if I could afford allocating an hour a day to this effort. But nonetheless I did, and I began at 11:00 by kneeling in prayer by the chair by that heater, and I prayed out loud. I told God how desperate I was to find out if this was a true book, and I told Him that if He would reveal to me that it was true, that I then intended to dedicate my life to building this kingdom. And I told Him if it wasn’t true that I needed to know that for certain, too, because then I would dedicate my life to finding out what was true. Then I would sit in the chair, and I read the first page of the Book of Mormon, and when I got down to the bottom of the page, I stopped, and I thought about what I had read on that page, and I asked myself, “Could this have been written by a Charlatan who was trying to deceive people, or was this really written by a prophet of God? And what did it mean for me in my life?” And then I put the book down and knelt in prayer and verbally asked God again, “Please tell me if this is a true book.” Then I would sit in the chair and pick up the book and turn the page and read another page, pause at the bottom, and do the same thing. I did this for an hour every night, night after night in that cold, damp room, at the Queen’s College Oxford. Others receive what we call a witness after years of study. They shelve doubts for a time and cling to things such as the witnesses of others or their own witnesses of other things than the Book of Mormon. Truthfully, the Book of Mormon is the number one, enormous factor in people’s consideration to join, leave or remain in the church. Church leadership has consistently doubled down on the truthfulness of the Book of Mormon. Their implicit argument is that the church stands and falls on its truth claim. For me, the logical, historical and textual evidence were sufficient to create an opening wide enough for there to be a profound spiritual witness when one was sought. By logical implication, it can be concluded that the man who translated it and brought it to light is a prophet as claimed. But logical implication is insufficient. It takes significant hubris and arrogance to proclaim that knowledge received from spiritual sources originates in the person having those experiences. Revelation as epistemology works differently than empiricism. Empiricism is the theory that knowledge is derived from sensory experience and that the senses include the five senses. It gave rise to experimental science and scientific method. The two largest differences between revelation as a way to know and empiricism as a way to know is that revelation requires a moral agent, and the vehicle for revelation, the Holy Spirit, refuses to be pinned down. In explaining this to Nicodemus, Jesus said, “The wind bloweth where it listeth, and thou hearest the sound thereof, but canst not tell whence it cometh, and whither it goeth: so is every one that is born of the Spirit.” Empiricism cares nothing for morality and only accepts things that can be pinned down and therefore repeated on schedule and independently verified. A rejection of either of these is foolish when seeking truth. 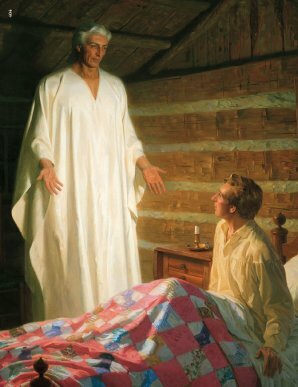 Getting to know Joseph Smith was necessary for me to get to a point where revelation would be able to teach and verify. I used all of the academic tools I had learned over the years. I am skeptical by nature and used reason, logic and deconstruction to understand Joseph Smith and church history. As with the Book of Mormon, my study had created an opening through which the Spirit could do its work. I asked for understanding, verification, and direction. 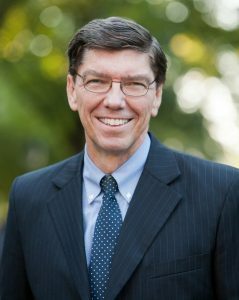 My pleas were a lot like Clayton Christensen’s, and the answer I received was similar to his. 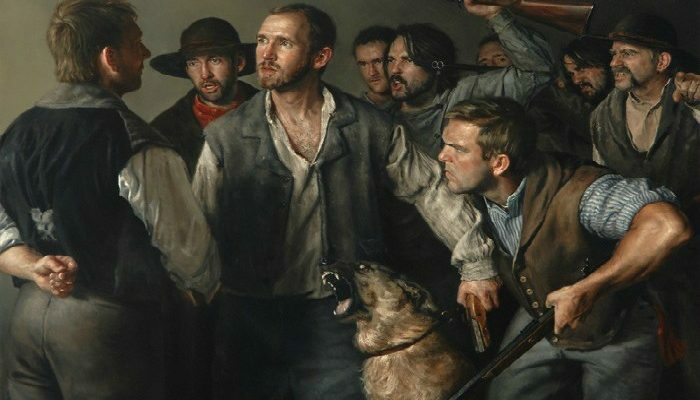 The picture at the top of this article was originally painted by Jeff Hein and is titled “Mob.” It captures the turning of a mob from violent and hostile to at least neutral as mob members approached Joseph Smith. The symbolism of that event is remarkable. I praise Joseph Smith’s name. I am certain of his accounts of key events that occurred during the formation of the Church. Like William Phelps, there is no other place I would want to be than at his side. I say this having knowledge of his 30 – 40 wives, teen brides and marriages to married women. I say this knowing of his weaknesses and imperfections. When hymn 27 Praise to the Man in the LDS hymn book is sung, I sing loud and strong and often weep when I consider the love I have for Joseph Smith. As with the Church, I do not give a historical account in my recommendation of Joseph Smith. I witness of him and recommend him to you as one who knows him and has enjoyed spiritual manifestations regarding his life and mission. I invite you to learn, prove and hold fast to that which is good.